Towe, Ball, Mackey, Sommerfeld & Turner, P.L.L.P., aggressively advocates on behalf of individuals, families and business organizations throughout Yellowstone County and the surrounding Montana communities. Comprised of a reputable team of seasoned trial lawyers, our law firm is a trusted resource for effectively resolving a wide range of legal issues. We have reached countless successful settlements and jury verdicts in a variety of practice areas including personal injury, wrongful death, divorce and child custody cases. We assertively protect those who suffered serious or fatal injuries in an accident caused by another person's negligence. Our experienced lawyers have the resources to pursue the full extent of compensation for medical expenses, lost income, psychological damages, and pain and suffering. We routinely work with experts to build solid cases on behalf of injured victims. With extensive trial experience, we exhaust every opportunity to help ensure you recover maximum financial support and benefits for your personal injury. 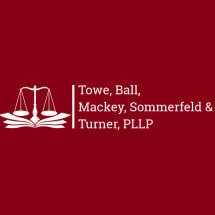 Towe, Ball, Mackey, Sommerfeld & Turner, P.L.L.P., also has a long track record of reaching optimal solutions in divorce and child custody cases. We work to settle family disputes in the most efficient, cost-effective manner through mediation. As highly skilled litigators, we are also well prepared to protect your interests in court. Clients of our North Billings law firm have benefited from working with experienced attorneys, paralegals and other legal professionals since 1969. Our hundreds of years of combined experience coupled with a commitment to continually expand our legal knowledge results in the best chance for a successful outcome. We strive for complete client satisfaction by providing highly responsive service, and frequently travel to clients who cannot come to our office. To schedule a consultation with an experienced attorney, call 406-534-0288. We provide personalized legal guidance at every step of a client's case, keeping clients updated on their case's progress and fully informing them about the legal strategy and recovery options available. The firm serves clients in Billings and throughout Montana.